British Columbia, Canada’s westernmost province, has banned the use of pipelines designed to transport liquid natural gas (LNG) to also carry oil from the tar sands deposits of neighboring Alberta to markets on the Pacific coast. Both environmental groups and some First Nations say that's not enough. They fear that a leak along the pipeline’s route could spill enough crude oil or bitumen to cause an environmental disaster. Aboriginal leaders say they’re less concerned about a leak from a gas pipeline because the gas would not pollute but dissipate into the atmosphere. They concede, however, the possibility of an explosion from a leak. The regulation, imposed by Canada’s Natural Gas Development Ministry, forbids British Columbia’s Oil and Gas Commission to permit the conversion of any LNG pipeline to carry oil as well. But members of the province’s minority center-left New Democratic Party say the rule needs to be stricter. One New Democratic legislator, Doug Donaldson, said Jan. 6 the only acceptable regulation would be a law, not merely a regulation, which he said would provide more certainty that the ban would remain in effect. He said that he will reintroduce such legislation in the coming spring. British Columbia’s regulation already applies to six proposed LNG pipelines, and would apply to any future pipeline proposals. The province’s natural gas potential exceeds 2,900 trillion cubic feet, a supply that is expected to last more than 150 years. So far there are about 25,000 miles of pipelines operating in, and regulated by, the province. They carry gas from its source in northeastern British Columbia to LNG processing and export facilities along the Pacific coast. First Nations and environmental groups say their concern isn’t hypothetical. 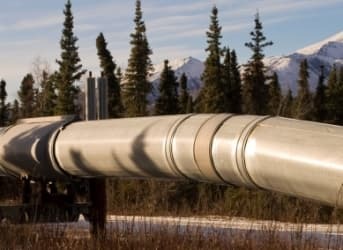 They note that TransCanada Corp. intends to refit hundreds of miles of existing gas pipeline from southeastern Alberta to Corwall, Ontario, on the St. Lawrence River, to pump crude oil to export terminals and refineries in New Brunswick and Quebec. As a result, stricter prohibitions are necessary, John Rustad, British Columbia’s minister of Aboriginal relations, said in a statement. 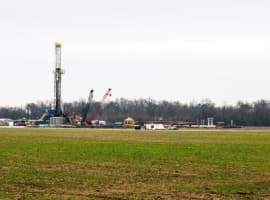 “A regulation prohibiting the automatic conversion of natural gas pipelines for these purposes goes a long way to address the concerns we have heard,” he said. At the same time, there is no reason to expect that the provincial government in Victoria would blithely ignore its own prohibition. British Columbia has long said it expects its industries and its people to benefit from a boom in its LNG industry. 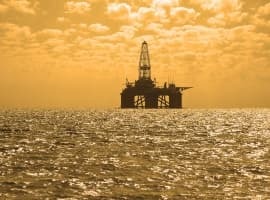 Could The Oil Bust Last?